Since the 1980’s the universe’s most lethal sport hunters, the predators, have been making appearances on Earth, hunting down the strongest and most dangerous humans alive. Now, for whatever reason, it would appear their presence is increasing. But, putting the predators back in their place to save humanity is no small task, it’ll take the efforts of military badass Quinn McKenna (Boyd Holbrook), a rag tag team of other former soldiers, and science teacher Casey Bracket (Olivia Munn) to get the job done. But do they really stand a chance? I mean really? 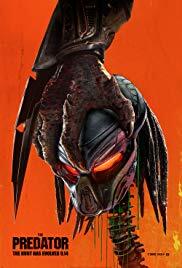 Directed by Shane Black and Co-Written by Fred Dekker and Black this ridiculous homage to the world of Predator harkens back to the insanity of 80’s action films ripe with impossible fight sequences, gallons of blood, massive body counts, a modicum of bad CGI, a smattering of pithy humor and witty comebacks galore. Ensemble wise, notable work from all makes this breezy hour and 47 minutes whiz by. All In all, it’s a blast; from the outset the film delicately stomps the line of taking itself seriously, often dipping its toe in the goof pool as if to remind you this potential train wreck of a concept is actually fun. And there’s the meat of it, a film made with no delusions of grandeur but rather a film made for fun and entertainment, kind of like Saturday morning cartoons, but for big kids now. The Predator is rated R.